For a company that is 35 years old, there is certainly a lot of buzz and energy around Dance Specialties in Belmont. With dances of all ages streaming in and out, it is a happy, happening place. We met recently with owner and award winning choreographer Heather Maree in her studio. GA! Heather, first of all, let me say that you obviously have a passion for this-why do you love it so much? Heather:Yes, I feel very blessed to have the opportunity to do something I truly love. Having the opportunity to make a positive difference in a child’s life is why I do this. Being able to see my work come alive through a dancer or group of dancers is an unbelievable, rewarding experience. GA! What makes Dance Specialties different and special? Heather:We are family owned and operated. We take pride in our classes being offered in a family atmosphere and we have a high level of dance instruction from our talented staff. Our studio has won many prestigious awards-our most recent honor is being named one of the “Top 50 Dance Studios” in the United States. GA! 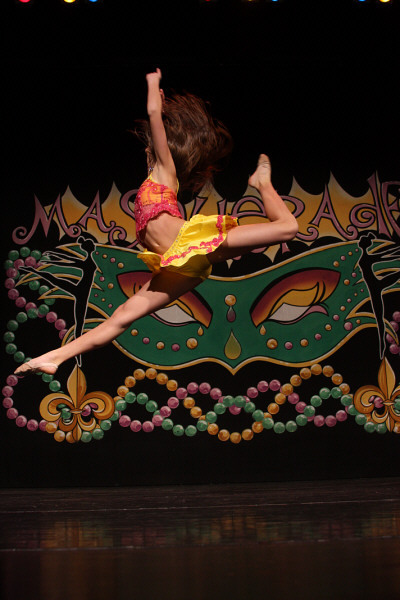 Why would a parent choose Dance Specialties? Heather: Look for family and fun atmosphere, qualified instructors, a safe and convenient location, injury prevention dance floors and public praise is the best form of advertising. Plus the history of this studio is an added bonus. We are on the second generation of some of our dance students. Many of our moms danced here for many years growing up and now they are bringing their little dancers. Even most of our staff grew up in the dance studio, went to college and continued to teach and inspire students through the art of dance. I think this exemplifies how Dance Specialties and the creativity of learning to dance touches peoples lives. GA! What kinds of programs do you offer, and are there openings in all classes, or beginners, or..? Heather: Dance Specialties offers classes for ages 3-adult. With classes offered in tap, ballet, jazz, hip hop and lyrical. Our dance season runs from mid August-June. Registration is in the summer and we have openings in most classes up until around the end of October. Some classes do fill up. We offer instruction on a recreational level and a competitive level. Our competition team is an audition process. GA! What is the funniest or most unusual thing that has happened to you as an owner/instructor? Heather: We always have dress up week around Halloween. Many of our students come dressed as” Miss Heather:, with their long haired wigs and dance clothes like Miss Heather wears. It’s pretty funny!